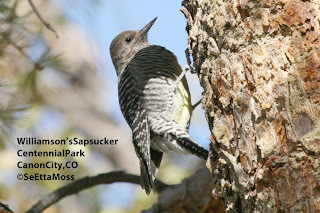 I found the male in the top pic on the north side of Rouse Park in Canon City last week but didn't get any photos until a few days later on Nov 15. 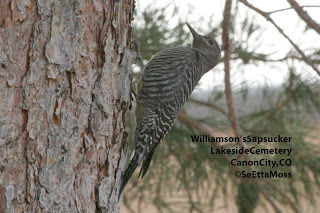 I have seen him working this same pine tree on 3 occasions. 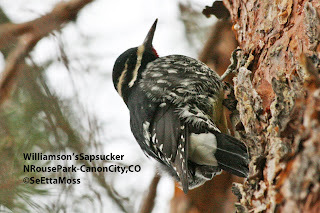 In addition to the single male Red-naped Sapsucker I found on the grounds of The Abbey in Canon City on November 1, there are at least 4 female Williamson's and 2 male Williamson's Sapsuckers at local hotspots. Since female Williamson's look alike, I drove from one hotspot to another finding one at each of 4 hotspots including The Abbey. 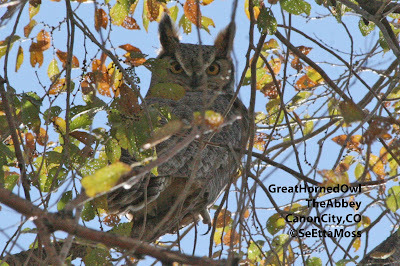 Since I think it is pretty unlikely that one or more females flew immediately to the next hotspot after I drove to the next one, I believe the 4 females I saw were different individuals.